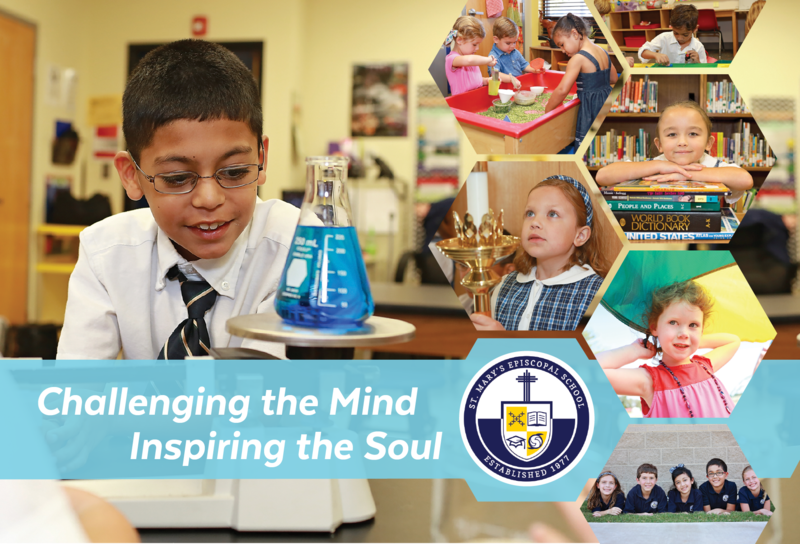 St. Mary’s is founded in the tradition of service learning. Our students from their earliest years are taught to live a compassionate, humane, and charitable life. Students get to experience the inner warmth that derives from a good deed and the wisdom of giving back . Fund-a-Need is a hallmark event for our students, and the opportunity for exemplar figures in our students lives to continue setting the best example for our children. As previous donors provided for our students in the past, parents and friends of the school will continue to provide for our students today, and for generations to come. Generous donations to our 2015-2016 Beau Geste provided such additions as, an eco-friendly water fountain, new playground equipment and updates to our curriculum program. The purpose of tonights Fund-a-Need will enhance our current health & fitness program, and STEAM educational technologies. Please, take a moment to review the attached information. Your contributions directly enhance the experience of our students. We hope you will remember the altruistic spirit of St. Mary’s Episcopal School and practice the same message we instill in our children. The iPad in the classroom brings education to life. Early Childhood curriculum sets the foundation and expectations early for 21st Century Learning. Our goal is to be the spark that ignites more student-led technology use in all grade levels. As early childhood students become adept, they will be prepared for advanced opportunities throughout their journey at St. Mary’s. Osmo’s game systems fosters social intelligence and creative thinking. Crafted with reflective artificial intelligence, a groundbreaking technology that bridges reality and digital realms. Technology in the classroom transforms a students learning experience. Children have endless access to valuable information such as a dictionary and thesaurus, which previously were only available in printed format. Interactive technology makes learning more engaging and memorable. Tools such as audio and video recorders can change the way that learning takes place and homework is completed. These cutting edge chrome books will allow students to participate in interactive games and technologies, expanding their STEAM experience. KEVA planks are changing the perception of children. Students discover the joy of creating original works of art or cleverly designed contraptions. Creativity is the human spark of life and with these unique academic tools, children are only limited to their imaginations. In this technology & media driven society it is imperative for students to have the updates in technology and academic application. Future generations will need to compete with the growing trends of a technologically-driven society that relies on computers to perform daily tasks. The classroom is a good starting point for people to learn how to use these complex machines. If students learn word processing skills and how to navigate computers and the Internet early on, they will be prepared later in life to utilize computers for more complex assignments. Computers grant access to the Internet, which hosts academic research and offers educational support. Historical records and social organizations are only a click away, providing a wealth of information for studying history and social studies. Get ready to fly! Drones 101 provides interactive lessons & fun activities that help students learn fundamental coding skills in order to write programs for their drones. Students can program their drones to fly any way they want them to, and teachers can monitor individual students’ progress. Each drone can be switched to Classroom Mode to make sure the drones are safe and fun for everyone. Updates to our sports & fitness curriculum with academic equipment. Students can be transferred around the world with a click. Virtual reality allows the student to participate in the story, develop empathy to experiences outside their current realm of understanding and allows them to be fully immersed in their own exploration and learning.